Mallorca, a Spanish resort , is host to the Chess Olympiad this year. The biennial event is the most important team tournament organised by FIDE. Six men and four women from Bangladesh are taking part in the tournament. The men did very well, if you remember, in the last Olympiad at the Slovenian town of Bled, where they were bracketed with the mighty Indians in the final list of standings. That was possible due to a very convincing last-round win against the Philippines, another Asian giant. Our players will certainly look forward to repeating the feat. Another point of interest is whether the grandmaster title aspirants, IM Rifat-bin-Sattar and IM Abdullah-Al-Rakib, can make it at the Olympiad. Becoming a grandmaster in a team tournament is all the more satisfying, because you score points for yourself as well as the country! But there is not much to say about our women. They have been performing at more or less the same level for many years. One reason for this sort of stagnancy is that the national team has seen very few new faces in the last one decade or so. The girls are finding it really hard to knock off the women--something the boys had done to the men long ago. IWM Rani Hamid, by far the best women player of the country, still reigns supreme, while players like Nipa and Zakia seem to be quite happy to retain their positions in the team . The Indian team has been greatly rejuvenated by GM Vishwanathan Anand's decision to play for the national side once again. With GM Shashi Kiran as his second- in-command, Anand is leading a truly formidable squad. It will be interesting to see what the Indians achieve with Anand in charge of the first board. The team is capable of facing any chess superpower, and should fight for a position in the top ten. Back to our team. The presence of GM Niaz Murshed should encourage the boys . 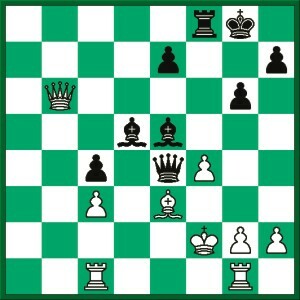 Here is a game he won against GM Kiril Georgiev in 1990.